Clifton - friendly, personable, petite - will smile and meet your eye. But eventually, invariably, her gaze will travel down your body - stopping at your feet, and staring at your shoes. “Shoemaking had always been something that was the ultimate profession for me, an obsession really,” Clifton told Radio New Zealand. Shoes are a lifelong passion for Clifton, who saved up for months as a teeanger to buy her first pair of Doc Martens. Launching her first business a few years ago, Lou - literally - took baby steps, by crafting tiny, classic-styled shoes for infants. In 2015 Clifton opened Dunedin’s first shoe school. 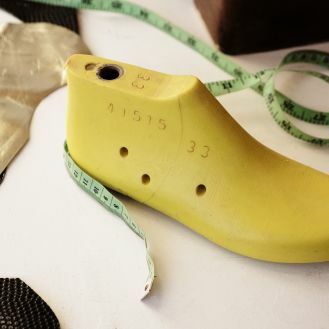 The night classes and four-day workshops have become a hit with tourists and locals alike, and Clifton loves helping people create objects of beauty and practicality that are individually designed for their own, unique feet. Short on cash but rich on ambition, Clifton has spent years studying shoemaking with various tutors around the world, learning the craft through observation when a common language was in short supply, and also studying books, watching youtube videos and falling asleep dreaming of shoemaking. Clifton’s shoe school in Dunedin is a tranquil, productive space with whitewashed walls and hanging potted plants. Materials and tools are stacked high to the ceiling, and the creative buzz and energy is palpable, with dozens of students creating their dream shoes every week - each completely unique in style, colour, taste and size. 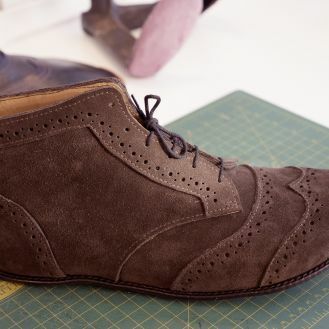 Many students say hand-crafting their first pair of shoes is a life altering event. “There's a whole lot of people like me out there that enjoy the making-through process – that think with their hands,” says Clifton.